To me, loving Italian wine means embracing diversity; rallying on the rebels who elude the pressure to conform. Ironically, this urge to express originality is at odds with the very survival of many winemakers, for in order to effectively market a “brand” there needs to first exist a uniform identity to which a critical mass subscribe. 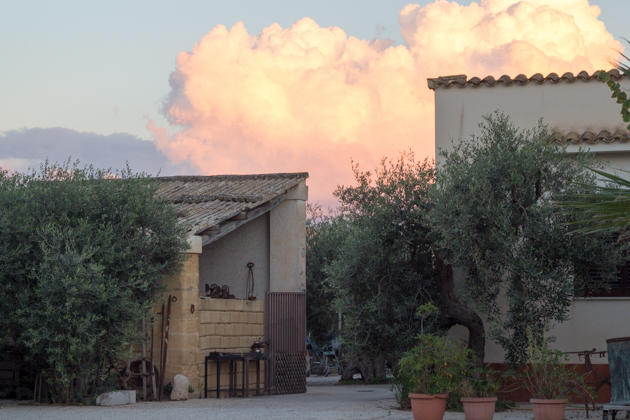 The legend of one iconic revolutionary lies in Marsala. Marsala has been Sicily’s most famous wine for over 200 years and Italy’s most famous aperitif wine. It is a fortified wine, named for the town of Marsala located in the southwest corner of Sicily. This is the most wind-swept part of Italy, creating dry conditions in an already hot climate which are ideal for growing grapes rich in sugar, creating an exceptional type of wine. Marsala was discovered in 1773 by an English wine merchant, John Woodhouse, who was looking to ship wine from Sicily to England without it spoiling and thereby create competition for sherry from Spain and madeira and port from Portugal. Traditional Marsala should be golden in colour with orange highlights and have complex oxidised flavours of stewed apricot, vanilla, tamarind, brown sugar and tobacco. After the second world war, Marsala earned a reputation as a cooking wine used to flavour desserts and the occasional savoury dish. This was due to overproduction of low quality Marsala (due to increased allowed irrigation which dilutes the flavour and reduces the amount of sugar so an inferior sweetener was added) and the invention of “Marsala Speciale” (a sickly sweet wine flavoured with eggs, coffee, almonds, spices, cream, strawberry or chocolate). Marco De Bartoli stepped up to save traditional Marsala‘s identity and in so doing, created much animosity locally. Today’s producers of true, high-quality Marsala using the solera method, Superiore and Vergine, are in trouble. 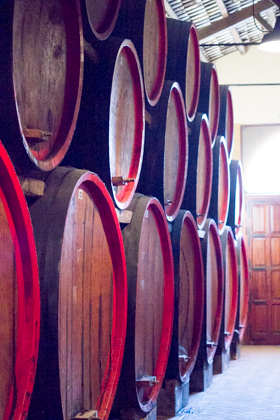 While 18 million bottles of Marsala are produced today, the most traditional and highest quality Marsala produced is the 24,000 bottles made by de Bartoli. 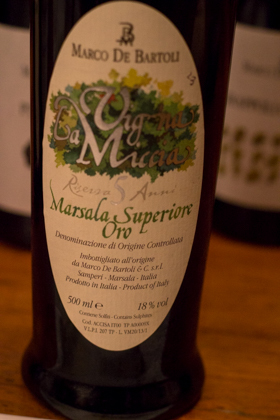 The best of the best is not even labelled Marsala as it does not qualify under the DOC regulations as it is not fortified. 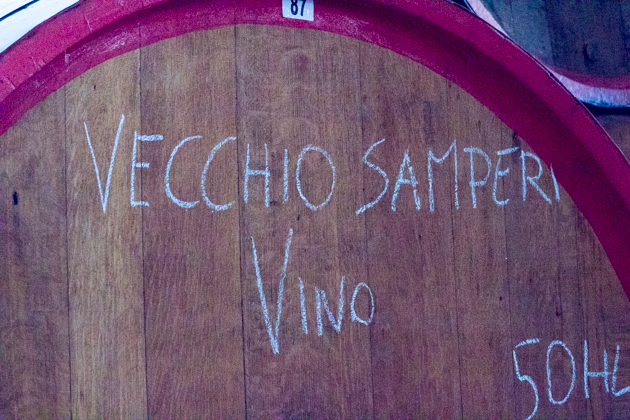 Instead, it is called Vecchio Samperi, after vino vecchio, a strong wine traditionally made in this region since at least Roman times. 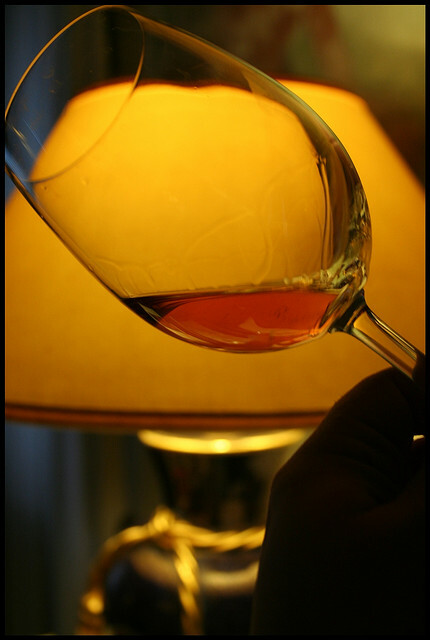 It is amber in colour, mellow, bone dry with good acidity and rich in flavour with a long finish. 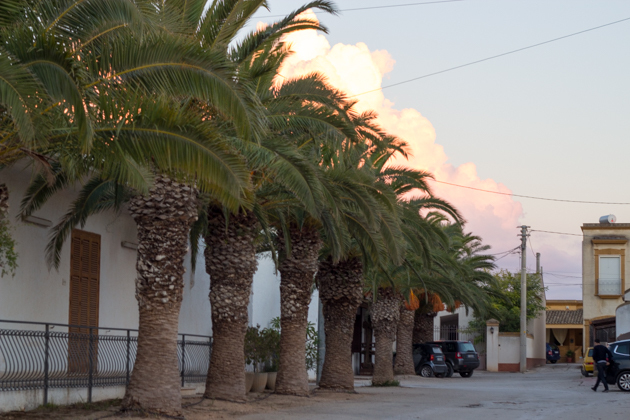 Florio, Rallo, Pellegrino and Arini were some of the first Marsala houses founded by Italians in the 19th century. 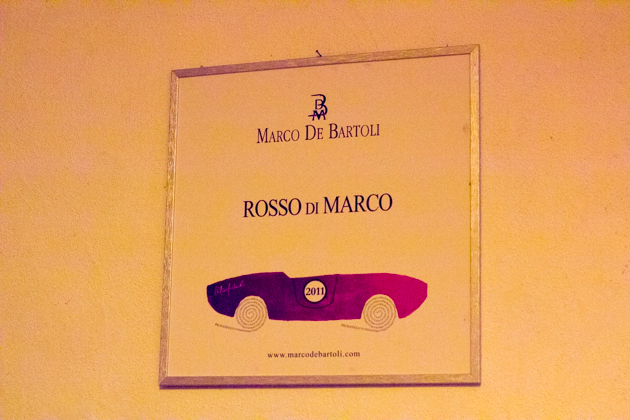 Marco De Bartoli is the son of two Marsala houses having trained first in Marsala production at Pellegrino (which he was connected to on his mother’s side) and in sales at Mirabella (now closed but to which is he connected to on his father’s side). He then went on to pioneer the revival of high quality Marsala by founding his own estate in 1980. He sadly passed away in 2011 but his two sons and daughter are now the sixth generation of the family making Marsala and are keeping their father’s vision alive. 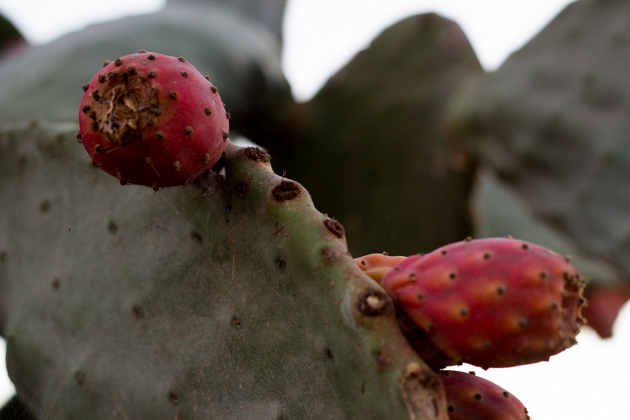 Marco believed that true Marsala should be made from Grillo (which have thicker skins to withstand the dry weather and retain their acidity), not the higher-yielding Catarratto grape together with Inzolia grapes. He also believed that the vines should be trained in the low-yield producing albarello style or Guyot, not the high-producing tendone-trained vines other houses were using. He also believes the grapes should be picked later during mid to late September (rather than in August) when their residual sugars are higher and produce a more naturally alcoholic wine (minimum 15.5% and achievable in only the hottest vintages). 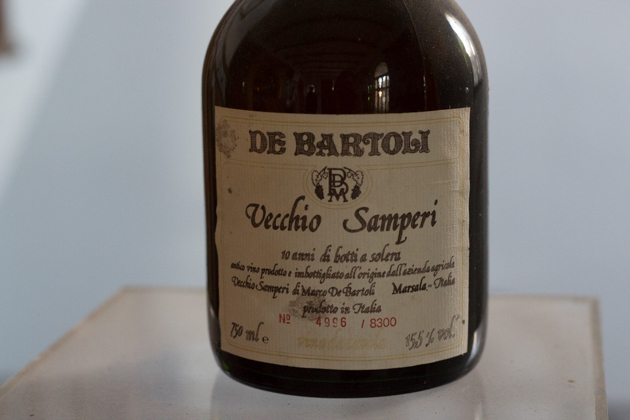 His wine does not need to be fortified as it is naturally higher in alcohol and his wine Vecchio Samperi demonstrates this as it is not fortified. 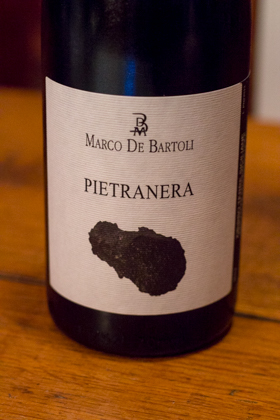 For De Bartoli‘s wines labelled Marsala, he does not use the cheap mosto cotto like other wineries but instead, he distills his own mistella, a naturally sweet grape must whose fermentation has been stopped by alcohol similar to brandy– this is the best and most expensive method. He then blends his Marsala with older vintages in the solera-type method until the average age is 10 years. He achieved this despite founding his own estate in 1980 by buying up old single vintage oxidised wines going back several decades in order to blend into his Marsala as the older wines helped his Marsala improve and concentrate in the casks. De Bartoli‘s vines range in age from 35 to 20 years old and are not irrigated. 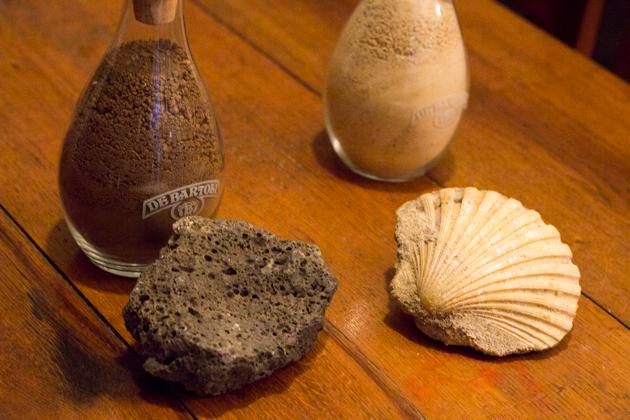 The soil is limestone and is rich in saline minerals and shells from the nearby ocean. The roots of the vines must dig deep enough to find water which produces very few but exceptional grapes. Their 12 hectare vineyard in the Samperi district is dedicated to Grillo grapes, the base for their Marsalas. De Bartoli uses the leftover grape skins to fertilise the vines instead of chemicals and small doses of sulfur and copper instead of weeding. Their techniques result in low yields. The grapes are selected by hand and they try to minimise the travel time from the vineyard to the cellar. The resulting base wines are aged in American and Slavonian oak and Sicilian chestnut barrels (except for Vigna la Miccia a Marsala which is aged in French oak barriques). The casks sit in a room made out of limestone and covered with tiles which allows the room to breathe and change with the climate. 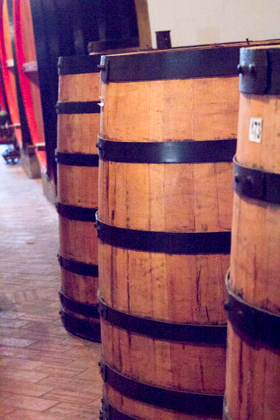 The tops of the barrels are left empty as the wine expands and shrinks with the changing temperature. 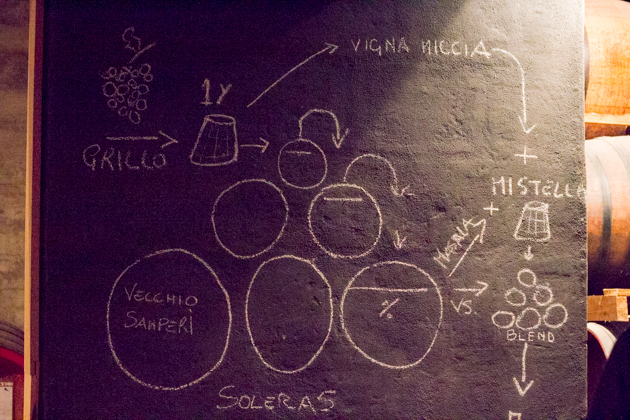 The solera system requires that there is a row of barrels starting with the youngest and ending with the oldest. 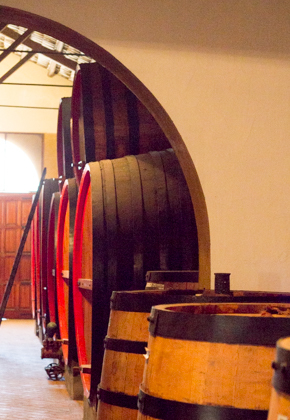 As Marsala is removed to be bottled, the barrel is topped up from the previous barrel with wine which is one year younger and so on down the line until the newest barrel is topped up with the new wine. 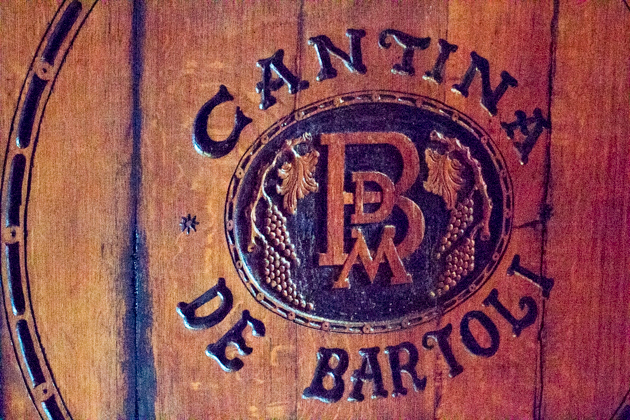 De Bartoli‘s Marsalas age in the barrels for between 2 to 20 years. During this time, some is lost to evaporation. After 10 years, 15 litres of wine is left from an original 20 litres. 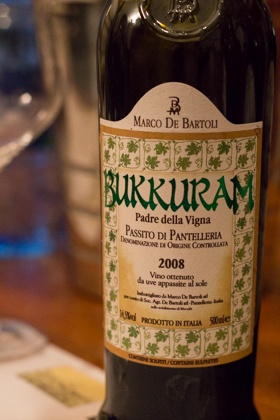 De Bartoli also has an 8 hectare estate in Pantelleria where it makes very interesting dry Zibibbo wine, Pietranera, and a sweet passito-style wine, Bukkuram. Pantelleria is primarily known for its extraordinary dessert wine, passito di Pantelleria (especially Ben Rye made by Donnafugata). Here, the hot weather, lack of water and volcanic soil make it the perfect location for growing vines for wine. 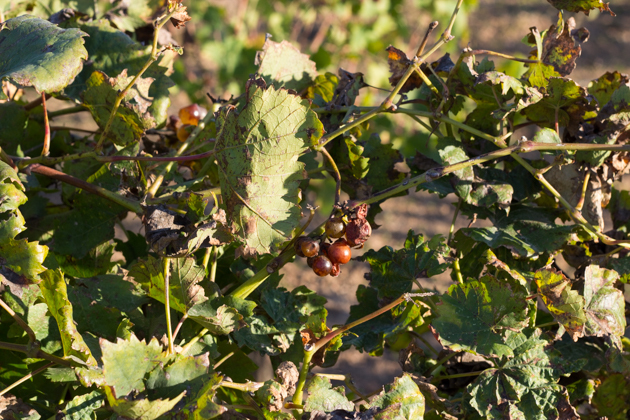 The sun and heat produce grapes rich in sugar. 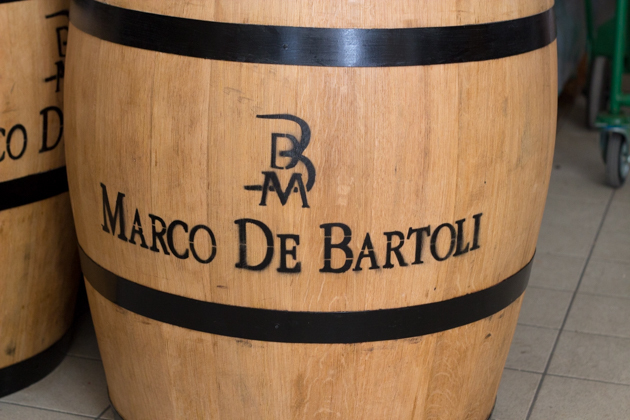 All together De Bartoli produces about 100,000 bottles of Marsala, dry white wine, one red wine, sparkling wine and sweet wine. Most of their wine is sold to restaurants in Italy, so if you have the opportunity to buy a bottle, take it. Marsala was traditionally made from Cataratto grapes with some aromatic Inzolia grapes added. Today a substantiantial amount of the higher-yielding Catarratto grapes is added to Grillo grapes along with up to 15% Inzolia grapes. Cataratto and Inzolia grapes can also make a good base wine if grown with much care. While Inzolia is much more aromatic, it cannot be the a base wine on its own as it cannot reach high levels of alcohol. 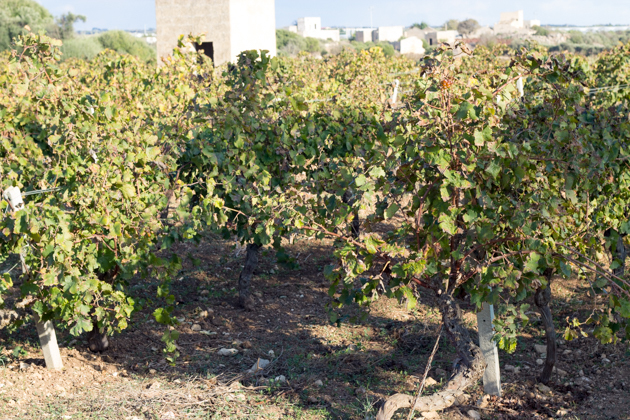 Grillo grapes (a cross between Catarratto and Muscat of Alexandria) are an astringent variety which are prolific so the dry climate keeps them in check. Grillo grapes make a full-bodied wine which needs very little alcohol added to create Marsala. Other less common grapes used in making Marsala are Damaschino and the red grapes added to rubino Marsalas (see below). Mosto cotto / vin cotto (cooked grape must) is now only in allowed in the inferior ambra Marsalas. Traditional mosto cotto (unlike the vast majority of caramel being marketed as mosto cotto today) was a slow process of reducing the must and if done properly, could be a valuable ingredient in Marsala. Other Marsala producers may use sifone (must of late-picked, overripe grapes mixed with 20 to 25% pure alcohol) instead of the more expensive mistella used by De Bartoli. It should be highly aromatic with caramel notes (except the Vergine). The alcohol ranges from 15-21% or higher. It is classified according to typology and aging. Fine is aged for a minimum of 1 year and has a minimum of 17% alcohol. It can be anywhere from sweet to dry. It is good for cooking. 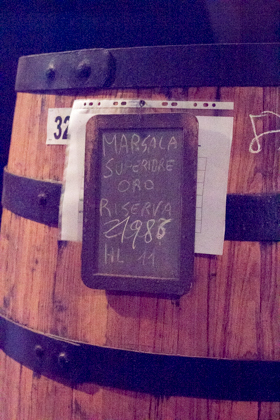 Superiore is aged for a minimum of 2 years and has a minimum of 18% alcohol. It can be anywhere from sweet to dry. Superiore Riserva is aged for four years and has a minimum of 18% alcohol. It can be anywhere from semisweet to dry. Vergine has been aged for 5 years and has a minimum of 18% alcohol. Vergine uses mistella (must with alcohol added to prevent fermentation). It is dry. Solera Stravecchio/Solera riserva has been aged for at least 10 years and has a minimum of 18% alcohol. It is dry. Speciale implies other ingredients such as eggs, coffee, chocolate, almond, spices, and cream have been added. Store: Marsala can be kept in a cool place at room temperature unopened for years. The flavour does not improve once it has been bottled and conversely, once opened, begins to lose flavour. Once the bottle is open, you can seal it from the air and store at room temperature for or, even better, in the refrigerator for 3-4 months. Prepare: Dry Marsala can be served chilled to 12-14˚C. Sweet Marsala can be served slightly chilled at 18˚C after a meal as it is or to accompany dessert. Eat/Drink: Low-quality Marsala is used in pastries, custards, creams (zabaglione), puddings (budino di Panettone), gelato (gelato di crema), or cakes (buccellato). Dry Marsala is used to flavour meat dishes (becacce alla lucana, faraona ripiena, finanziera, scalloppine di vitello). High-quality Marsala is meant to be enjoyed as an aperitif. Other good producers of Marsala include Rallo, Pellegrino, Mirabella and Florio. This is a fresh Marsala made with 100% Grillo grapes. It is fermented in steel tanks and then spends 4 years in French oak barrels and then 6 months in the bottle. They don’t leave any air in the barrique and the wine is more delicate and clear in colour. It is fortified with mistella made in-house from the same grapes as the base wine. They told us the wine was actually 9 years old. They produce 6,000 bottles per year. Pairing: pumpkin-filled pasta, soft and blue cheeses, foie gras, prawns as well as with dessert. Made with 100% Grillo grapes, the wine is pressed and fermented in different sized oak and chestnut barrels for 27 years. Part of the must was fortified in 1988 with acquavite made from the same grapes. It was bottled in 2014. They have only ever made 3,000 bottles. 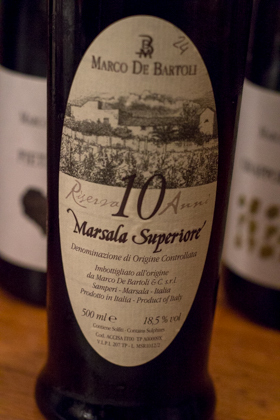 While this Marsala is labelled as a 10 year old Marsala, it is actually 20 years because base wines were already 10 years old when they started. 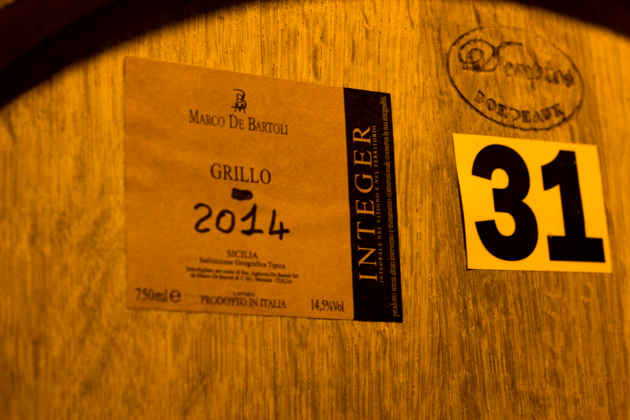 Made with 100% Grillo grapes, the wine is pressed and fermented in different sized oak and chestnut barrels for 20 years. It is fortified with mistella made in-house from the same grapes as the base wine. It was slightly sweet. They make 6,000 bottles per year. Made with 100% Grillo grapes, the wine is pressed and fermented in different sized oak and chestnut barrels for 20 years. Part of the wine was fortified with mistella made in-house from the same grapes as the base wine in 1987. They produce 6,000 bottles per year. This is their 20 year old Marsala done in the traditional style without being fortified. It cannot be labelled as Marsala because the alcohol level is 17.5% instead of the required 18%. Made with 100% Grillo grapes, the wine is pressed and fermented in different sized oak and chestnut barrels for 20 years using the perpetual method, similar to solera. 6,000 bottles have been produced. 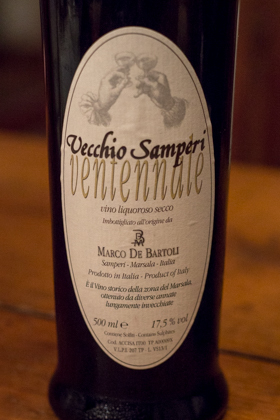 This is a special reserve made using the Vecchio Samperi Ventennale. Made with 100% Grillo grapes, the wine is pressed and fermented in different sized oak and chestnut barrels for 20 years using the perpetual method, similar to solera. 999 bottles have ever been produced. Made with 100% Grillo grapes, it is macerated on the skins for 10 days before being fermented on the lees for 10 months unrefrigerated. It is unfiltered. They make 1,500 bottles per year. Serving: Serve and store at 13-16 °C (55-61 °F). This was a very interesting wine made from 100% Grillo which cold decants for 48 hours. It starts the fermentation in stainless steel vats and is completed with 12 months in French oak barrels. It ages for 6 months in the bottle before being released. We tried the 2012 but were told that the older vintages become like white Burgandy. They make 8,000 to 10,000 bottles every year. Serve: 12-14 °C (54-57 °F). Pairing: strong-flavoured dishes such as meat, fish, soups and vegetables. This wine is made with the mixture of the signature grape of Marsala: Grillo and the signature grape of Pantelleria: Zibibbo. They are cold macerated for 25 hours and decanted for 48 hours. It is then fermented in stainless steel vats for 7 months. They produce 20,000 bottles per year. Serve: 10-14 °C (50-57 °F). Pairing: marinated seafood, flavoured pasta dishes, vegetable soups, and fish cooked in many ways. This is a highly unusual wine as it is a rare dry wine made from 100% Zibibbo grapes which is grown in Pantelleria, an island famed for its sweet passito-style sweet wines. It is cold macerated for 24 hours and left on the skins for 48 hours. It is then aged for 6 months in stainless steel vats. We tried the 2013 during our visit and found it floral and aromatic and reminded us of an Alsatian wine. They produce 13,000 bottles per year. Pairing: crustaceans, fish tartares, oysters, raw fish. 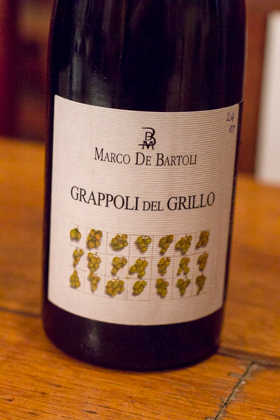 This wine is made with 100% Grillo grapes which are harvested at the end of August. They are cold decanted for 48 hours and fermented in stainless steel vats. The wine is aged on its own lees for 6 months. They produce 15,000 bottles per year. Serve: 10-12 °C (50-54 °F). This wine is made with 100% Cataratto Lucido grapes which are fermented in stainless steel vats for 7 months on its own lees. They produce 10,000 bottles per year. Pairing: traditional Sicilian dishes such as “sarde a beccafico” (stuffed sardines), or main courses of crustaceans and shellfish as a mussel soup. This is a very light red wine with a flavour of cherries made from Pignatello grapes, a light traditional Sicilian grape which is not very well known. The grapes are macerated in stainless steel vats and aged for 12 months in French oak barrels and then for 6 months in stainless steel and in the bottle. They produce 8,000 bottles per year. Drink: within 5 to 7 years after vintage. ServE: 14-16 °C (57- 61 °F). Pairing: traditional Sicilian seafood dishes such as “pasta con le sarde” (pasta with sardines) and dishes made with oily fish, white meat and vegetables. This is a labour intensive passito-style sweet wine they produce from their estate in Pantelleria. Half of the Zibibbo grapes are dried in the sun for four weeks on cane nets protected from the strong winds by walls of black volcanic rock. The other half of the grapes dry on the vine until September. They have to be very careful as the aromatic qualities of the Zibibbo grape can be easily destroyed if the grape becomes too dry. 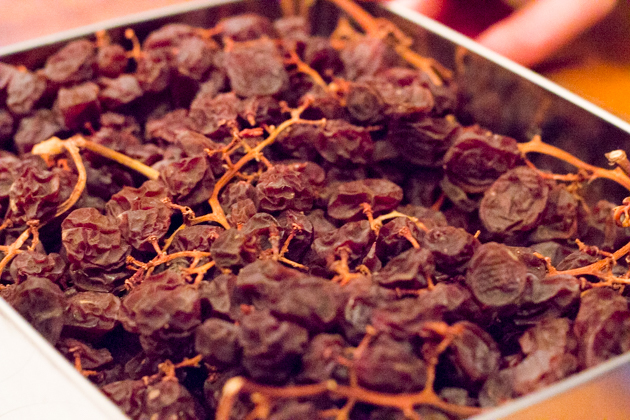 The dried grapes are added to the base wine and left to macerate for 3 months. 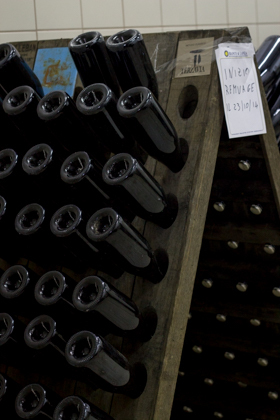 It is aged in French oak barrels for 42 months and 6 months in stainless steel vats. About 8,000 bottles are produced annually. 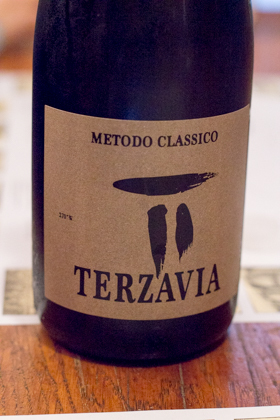 Made with 50% Grillo and 50% Nero d’Avola grapes which are fermented in stainless steel vats. 20% of the grapes are then aged in French oak barrels. 50% of the wine is aged for 12 months in stainless steel vats and the rest in French oak barriques and tonneau on its lees. It spends the secondary fermentation in the bottle on its lees for 18 months. Zero dosage. Sugar does not exceed 15%. They produce 3,000 bottles per year. Made with 100% Grillo grapes which are fermented first in stainless steel and then in French oak barrels. 50% of the wine is aged for 12 months in stainless steel vats and the rest in French oak barriques and tonneau on its lees. It spends the secondary fermentation in the bottle on its lees for 18 months. Zero dosage. Sugar contribution does not exceed 15%. They produce 12,000 bottles per year. This wine is made from 100% Grillo grapes which are late harvested and aged for 12 months in barrels on the lees. A small amount of Vecchio Samperi may also be added. It is aged for a total of 30 months on the lees. They produce 3,000 bottles per year.